Dynamos will be hoping for a third consecutive victory when they play Herentals this afternoon in the Castle Lager Premier Soccer League Match-day 31. The Glamour Boys are five points above the relegation zone while The Students are safe in the 8th position. Captain Marshall Machazani is suspended but the defensive duo of Godfrey Mukambi and James are set to return to the Dembare squad. Phakamani Dube has recovered from an illness which ruled out in the previous round while Jimmy Tigere is available for selection. The only meeting between the two sides played in May ended in a goalless draw. At Ascot Stadium, Highlanders will take on Chapungu without the services of the suspended pair of defenders Tendai Ndlovu and Mbongeni Ndlovu who have accumulated three yellow cards each. The development is likely to see club captain Honest Moyo who has been playing second fiddle to Mbongeni being thrust in the left back position. With central defender Tendai out, Peter Muduhwa is likely to be partnered by either Vincent Moyo or Andrew Mbeba in the heart of Bosso defence. Meanwhile, Chapungu need nothing less than a victory to move out of danger as they are currently two points above the drop zone. 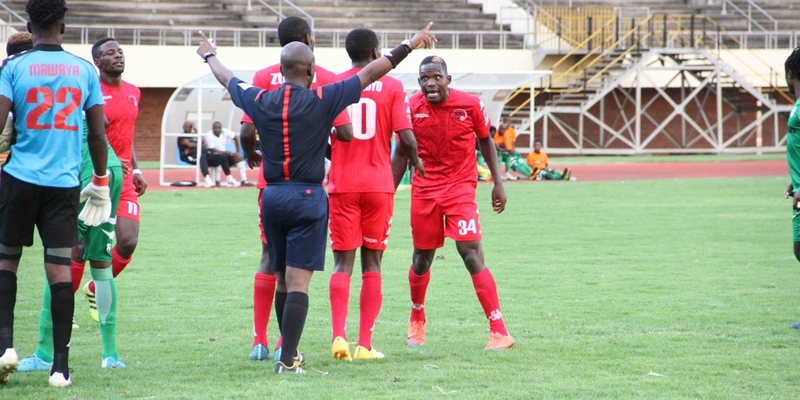 Elsewhere, Black Rhinos host Nichrut at National Sports Stadium while Bulawayo City could get relegated if they fail to beat ZPC Kariba at Barbourfields Stadium.